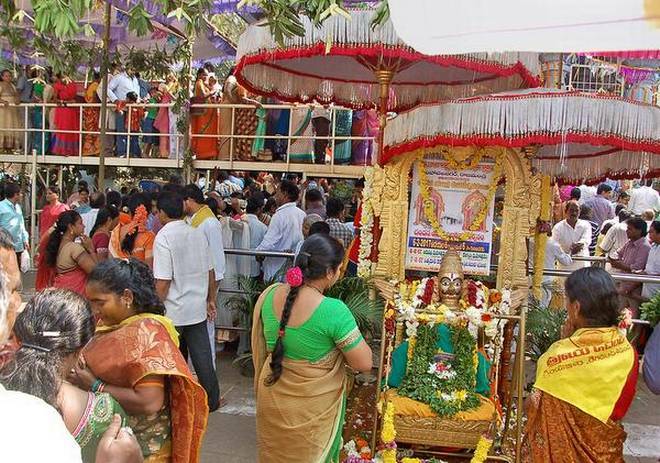 Several devotees thronged Sri Varaha Lakshminarasimha Swami temple in Simhachala Nagar to witness the ‘Nijaroopa Darshanam’ and ‘Chandanotsavam’ on Monday. 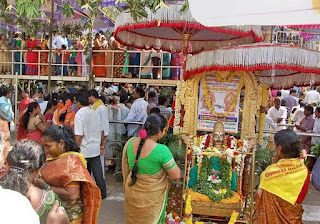 The annual ritual started around 3 a.m. with Suprabhatam, Aradhana and Chandanottarana (removing sandal from the presiding deity). From morning 6 a.m, devotees were allowed to have Nijaroopa Darshan of Lord Narasimha. This year, the police made elaborate security arrangements and barricading was done along the road for more than a kilometre. Sri Mahendrada Srinivasacharyulu, main priest of the temple performed the rituals including special pooja with gold coins. Chandana samparpana, theertha gosti and ruthvik felicitation will be held on Monday night.